We are delighted to announce that our popular Kew on a Plate dinner will be coming to our lovely Milton Keynes brasserie on Wednesday 14th September. Inspired by Raymond Blanc’s BBC series, Kew on a Plate, guests will join Raymond at our Milton Keynes brasserie to enjoy a specially created three course dinner, a complimentary glass of our bespoke bubbly, Blanc de Blancs, a talk from the man himself on his experiences at Kew, and a signed copy of his Kew on a Plate book to take away. Tickets are just £55.00 per person. 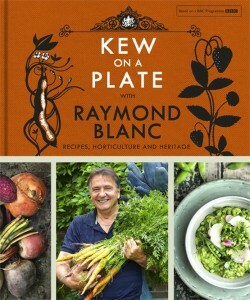 Raymond will be talking about the inspiration behind the book and the series, the food heroes he met, the delicious ingredients they produce and champion, along with his top tips on how you can make the best of seasonal produce. Places are limited and are guaranteed to sell out. Please contact the brasserie for further information and to book.